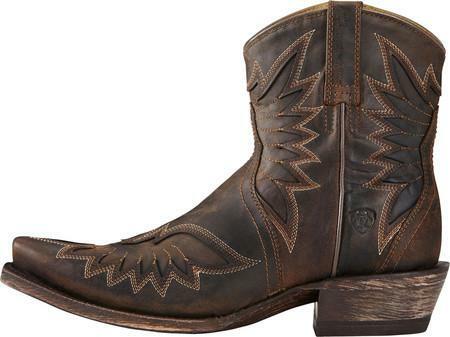 It’s been a long time since I’ve worn traditional cowboy boots like the Ariat Santos Boot. I’ve fallen in love with Ariat’s square and round toe boots and really didn’t think the pointy style would be nearly as comfortable. Boy was I wrong. 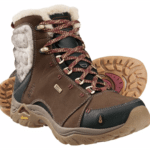 These boots rival the others in comfort. The second I put them on I was blown away by how much arch support they offer and how that point did not squish my toes one bit. I didn’t want to take them off, and I found there to be no break-in time. 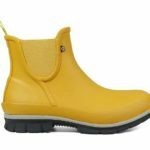 These are dressier boots, but also functional. Let’s talk about style. Look at them! Just look at how gorgeous they are with that Spanish influence and Phoenix motif. These boots are wicked beautiful. I can’t get over how they are this comfortable and look that great. 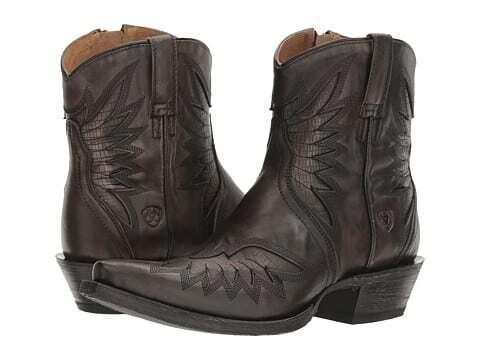 With my other Ariats I always say I feel a little sassy, but the Santos boots are downright badass. Would you go riding in these? I would. But I wouldn’t want to hang out in a muddy barn in them because they’re too pretty. 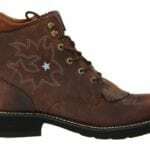 I want to baby these, but Ariat’s stuff is super well made, they’re not going to fall apart on you. When you see them and wear them, you’ll probably want to baby them too. These boots are wearable art. I love that they are ornate but not flashy. The inlays blend in with the sumptuous charcoal color, so it’s subtle. They come in brown too, and the pattern stands out more with that color, but I think the charcoal is more versatile and sleeker. I wish I could find more stuff in this color because it’s in between brown and black and matches everything. It’s kind of the color of dark roast coffee beans. The fit is spot on true to size, no need to size up. A side zip makes them easy to get on and off and the bootie style takes up less room in your suitcase. 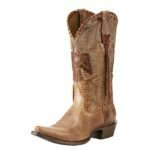 I’m partial to a short boot–they’re great for spring and summer–and these are some of the coolest boots I’ve ever seen. I’ll be wearing these to Colorado pretty soon. 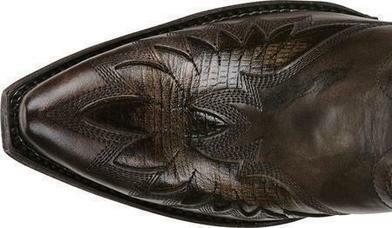 Find the Ariat Santos Boot HERE.